A Mercedes Benz of the »heavy class«. The SK series was produced between 1989 and 1998, then replaced by the Actros. 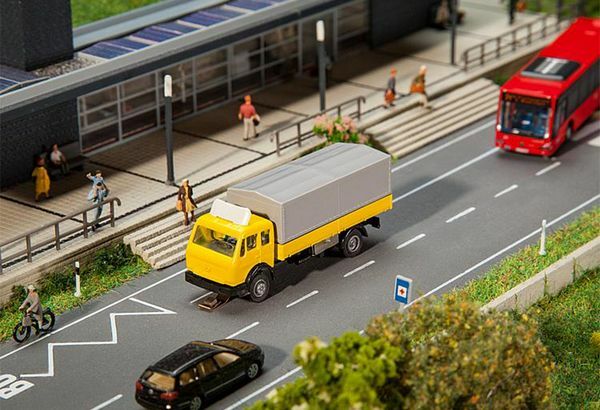 The model has a yellow platform and a grey tarpaulin.